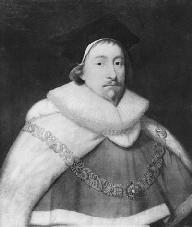 An influential figure of Renaissance England and a great jurist, Sir Edward Coke bravely fought for the supremacy of the Common Law over the monarchy. He served in numerous high public offices under Elizabeth I, who reigned from 1558 to 1603, James I, who reigned from 1603 to 1625, and Charles I, who reigned from 1625 to 1649—and his continual efforts to restrain the last two rulers remain a significant part of his legacy. He was frequently a member of Parliament (M.P. ), and in the 1620s, he became a leading figure of that body, staunchly advocating the rights and freedoms of Parliament against challenges from James I and Charles I.
Coke was a contemporary of such great figures of Elizabethan England as William Shakespeare, Edmund Spenser, Sir Walter Raleigh, Ben Jonson, and francis bacon. He is most well-known for his influential legal writings, particularly his four-volume Institutes of the Laws of England. He also published, during his career, Reports, a compendium of leading cases of common law with his own analyses that finally constituted thirteen volumes. Coke's ideas formed part of the intellectual background for the American Revolution and the U.S. Constitution. His writings on English common law, along with those of Sir William Blackstone, greatly influenced U.S. law and were considered required reading for U.S. lawyers until well into the nineteenth century. Coke was born February 1, 1552, at Mileham, Norfolk, England, into a family of Norfolk gentry, the only son among eight children. His father was a barrister, or trial lawyer, and Coke took up the same profession. In 1572, after being educated at Norwich Grammar School; at Trinity College, Cambridge; and at Clifford's Inn, London, he was admitted to the Inner Temple—one of the inns of court that served as colleges in the university of law. He became a barrister in 1578, and quickly rose to great prominence in his profession and in the political sphere of his time. He was aided in his rise by his friendship with William Cecil, Baron Burghley, the chief minister to Queen Elizabeth I. Coke became recorder of Coventry in 1585 and of Norwich in 1586, M.P. for Aldeburgh in 1589, recorder of London and Solicitor General in 1592, and M.P. for Norfolk and Speaker of the Commons in 1593. In 1582, Coke married Bridget Paston. The union brought him a considerable fortune in money and land, as well as seven children. With his later political power, he was able to add greatly to his wealth over the course of his life. His first wife died in 1598. His subsequent marriage a few months later to Lady Elizabeth Hatton, twenty-six years his junior and granddaughter of Burghley, was a troubled one and ended in separation. He had one daughter by Lady Hatton. In 1594, Coke became attorney general for the Crown, or "the quenes atturney," as a contemporary put it, winning the post in competition against Bacon, a noted philosopher and politician and Coke's chief rival during his public career. As attorney general, Coke was responsible for defending the interests and royal prerogative, or power, first of Queen Elizabeth and then of King James. He supervised state prosecutions in several major Treason trials, including those of the earls of Essex and Southampton (1600–01); Raleigh (1603); and the conspirators involved in the Gunpowder Plot (1605), an attempt by Catholic opponents to blow up the House of Lords. A gifted speaker, Coke also proved in such trials that he could be brutal in court. He said of Raleigh, a former favorite of Queen Elizabeth and hero of the realm, "[T]hou hast a Spanish heart, and thyself art a spider of hell" and "there never lived a viler viper upon the face of the earth than thou." Coke was so powerful at this point in his career that in 1601 he was able to invite the queen to his estate at Stoke Poges, where he presented her with jewels and other gifts valued at over £1,000. "The greatest inheritance that a man hath is the liberty of his person, for all others are accessory to it." Coke's responsibilities as "the queen's attorney" were diametrically opposed to those in his later role as champion of the common law against the Crown. In 1606, he was made chief justice of the Court of Common Pleas, a position as judge of the common law that soon put him at odds with King James. Through this position, Coke sought to limit the jurisdiction of the royal courts—particularly the ecclesiastical, or church, courts and the Chancery, or courts of the king's lord chancellor—by maintaining that the king was bound by the tradition of common law in making decisions. Coke told King James that he could not make judicial decisions that were in conflict with common-law precedent. He argued that the common law was a system of "artificial reason and judgment," the accumulated wisdom of many decisions over hundreds of years that could only be acquired through laborious study. The common law was therefore not amenable to Arbitrary change by one individual, even if that individual was the king. In Fuller's case (1607–8), for example, Coke argued that "the king in his own person cannot adjudge any case." He also delivered an opinion in 1610 in which he stated that the king cannot change any part of the common law or create through royal proclamation a new offense under the law. Coke's concept of the common law's authority over the monarchy eventually became part of the English constitution. In 1613, Coke was made chief justice of the King's Bench, moving to a lower-paying position that Bacon and other enemies inflicted on him as punishment and with the hope that it would force Coke to give in to the demands of the Crown. However, shortly thereafter, Coke was appointed to the Privy Council, the king's formal body of advisers. Again, he stubbornly asserted the superiority of the common law over the powers of the king and the king's advisers. He clashed with the Court of King's Bench and with the king in several more prominent cases—including the king's attempts to hold several ecclesiastical benefices, or offices, at the same time—and in 1616, James dismissed Coke from office. Ever resilient—and ever valuable to the state because of his great legal skills and knowledge—by 1617, he was back in the Privy Council and the Star Chamber, a court of law made up largely of members of the Privy Council. In 1620, Coke again entered Parliament, this time as a member from a Cornwall borough. While in Parliament in this last stage of his public career, Coke became a leading advocate for that body's independent power against the king. He participated in the Impeachment of Bacon as lord chancellor and helped draft the Protestation of December 1621, which stated that "the liberties, franchises, privileges and jurisdictions of Parliament are the ancient and undoubted birthright and inheritance of the subjects of England" and that Parliament "hath and of right ought to have freedom of speech" in England. This document caused James to dissolve that session of Parliament and dismiss its leaders. Coke, at age seventy, received the most severe sentence of anyone in Parliament and was put in the Tower of London for nine months. Coke soon became an M.P. again, sitting for Coventry in the Parliament of 1624. James I died in 1625, the same year that Coke sat in Parliament for Norfolk, and the throne was taken by Charles I. In 1628, Coke spent his last term in Parliament, for Buckinghamshire. That year, he led the movement to put forward the Petition of Right, which guaranteed the subjects' rights with respect to the monarchy, including protection against arbitrary imprisonment, freedom from taxation without parliamentary representation, and Due Process of Law. In his defiant reply to the petition, King Charles was adamant about what he called his "sovereign power" to rule the country. Later, in an eloquent speech before Parliament, Coke questioned the king's phrase, reminding the members of the importance of Magna Charta, the medieval document that protected the nobility, Parliament, and, to a certain degree, the common people from arbitrary royal decrees. "Take we heed what we yield unto," Coke declared. "Magna Carta is such a fellow that he will have no sovereign." Coke retired from public life shortly after this speech. Despite his efforts, ideas such as those contained in the Petition of Right were not embodied in formal law until much later in English history. Sadly, Coke suffered the indignities of royal prerogative once again, in July 1634, several months before his death, when his papers were ransacked and stolen by royal officials. Though Coke was very old and infirm, the king still deemed him "too great an oracle among the people "and therefore dangerous to the power of the monarchy. Coke died in his house at Stoke Poges in September 1634. Coke's legal writings served as invaluable guides to jurists for centuries after his death. His Reports (1600–1611, 1650–59), covering a period of 40 years, were the preeminent legal texts of their time. These 13 volumes were based on careful notes on cases he had heard since he had been nominated to the bar. Arranged by subject, they went into greater detail than had previous law reports, including coverage of earlier precedents affecting contemporary judicial decisions. They are different from modern legal reports in that they reflect Coke's own interpretations of the law, with each report forming a brief treatise on the relevant points of law. They also contain numerous factual errors and misinterpretations of legal precedent. Coke's four-volume Institutes of the Laws of England (1628–64) was the first significant legal work to be written partly in English. The first volume, called Coke upon Littleton (1628), contains the text of Sir Thomas Littleton's 1481 treatise on property, On Tenures, with an English translation and commentary by Coke. The second volume (1642) deals with statutes of Parliament, the third (1664) with Criminal Law, and the fourth (1644) with the jurisdiction and history of different English courts. Though the Institutes reflect many of Coke's own shortcomings—they have been criticized for their disorganization, inaccuracies, and idiosyncrasies—they nevertheless put into modern language and make accessible a body of law that would have otherwise remained obscure and difficult to gather. It appears in our books that in many cases the common law will control acts of Parliament, and sometimes adjudge them to be utterly void: for when an act of Parliament is against common right or reason, or repugnant, or impossible to be performed, the common law will control it, and adjudge such act to be void. Leaders of the American Revolution, including John Adams, used such ideas in the eighteenth century to lobby for power to void parliamentary laws that were considered to be harmful. Such ideas also influenced the development of the U.S. Constitution and the power of Judicial Review, which allows the judiciary to strike down legislation that violates the Constitution. Bowen, Catherine D. 1957. The Lion and the Throne: The Life and Times of Sir Edward Coke (1552–1634). Boston: Little, Brown. Boyer, Allen D. 2003. Sir Edward Coke and the Elizabethan Age. Stanford, Calif.: Stanford Univ. Press. Hostettler, John. 1997. Sir Edward Coke: A Force for Freedom. Chichester, England: Barry Rose. Powell, Damian. 2000. "Coke in Context: Early Modern Legal Observation and Sir Edward Coke's Reports." Journal of Legal History 21 (December): 33–5. Woolrych, Humphry W. 2002. The Life of the Right Honourable Sir Edward Coke, Knt. : Lord Chief Justice of the King's Bench. Union, N.J.: Lawbook Exchange. English Law "Dr. Bonham's Case" (In Focus).